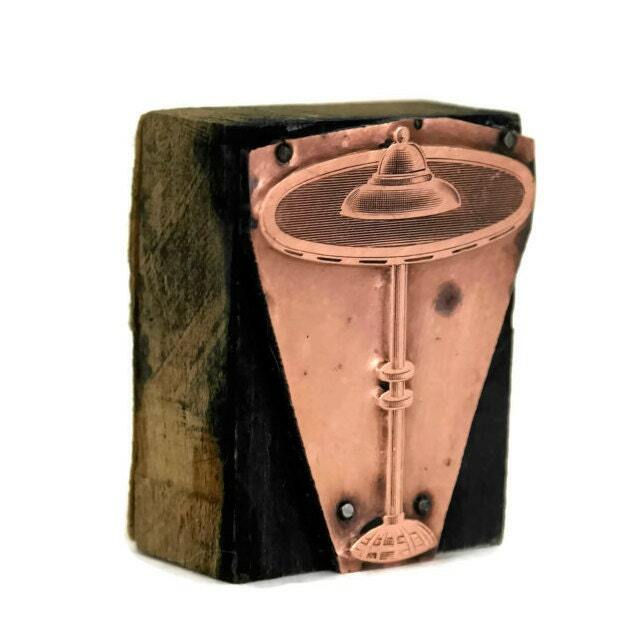 An antique French copper letterpress printing block that was originally used to print illustrations for dictionaries and educational books. 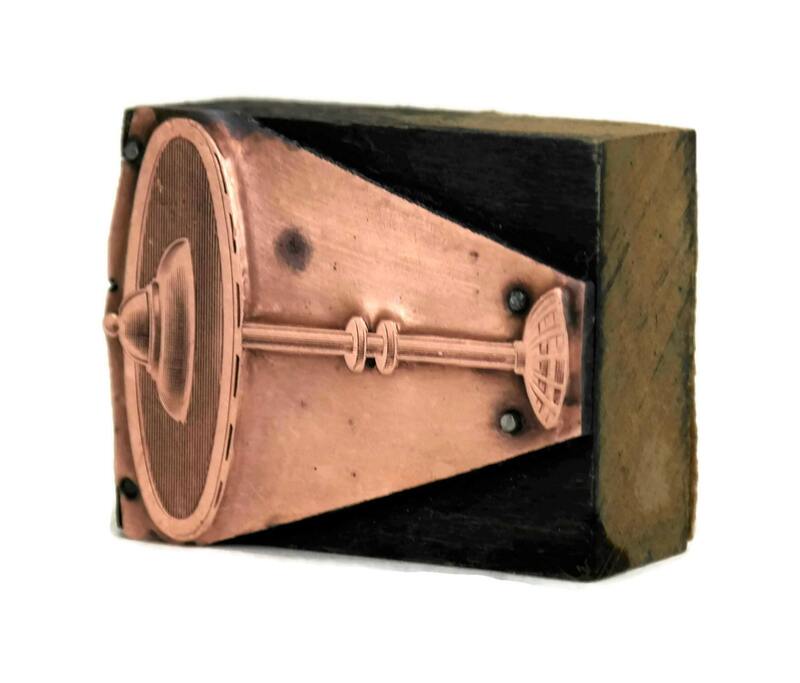 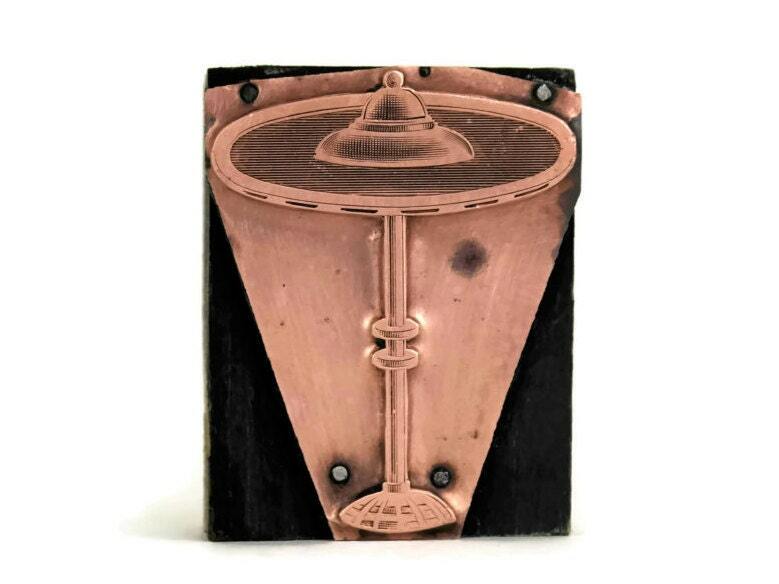 The stamp has an engraved copper plate with the image of stylish table lamp and has been mounted on a wooden block. 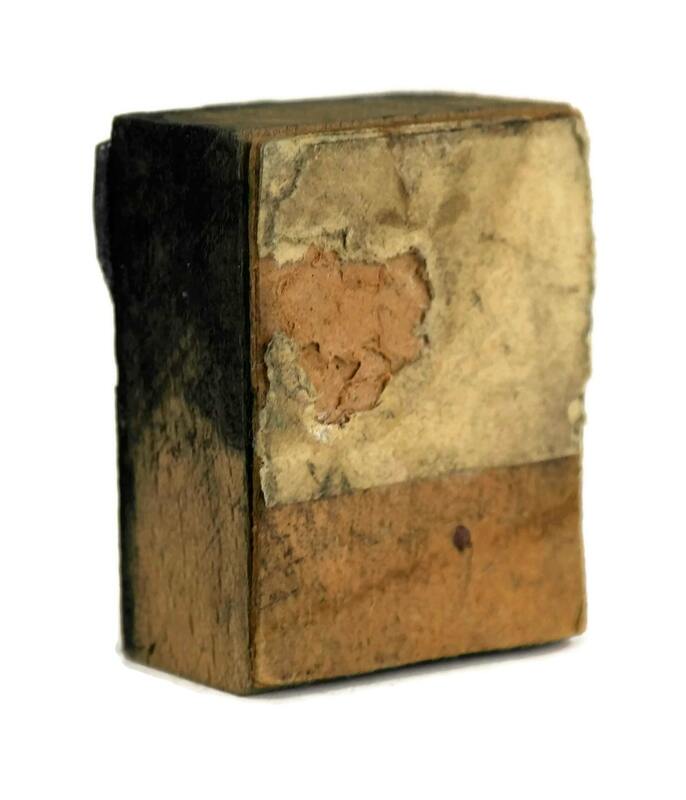 50mm long x 40mm wide x 25mm high. 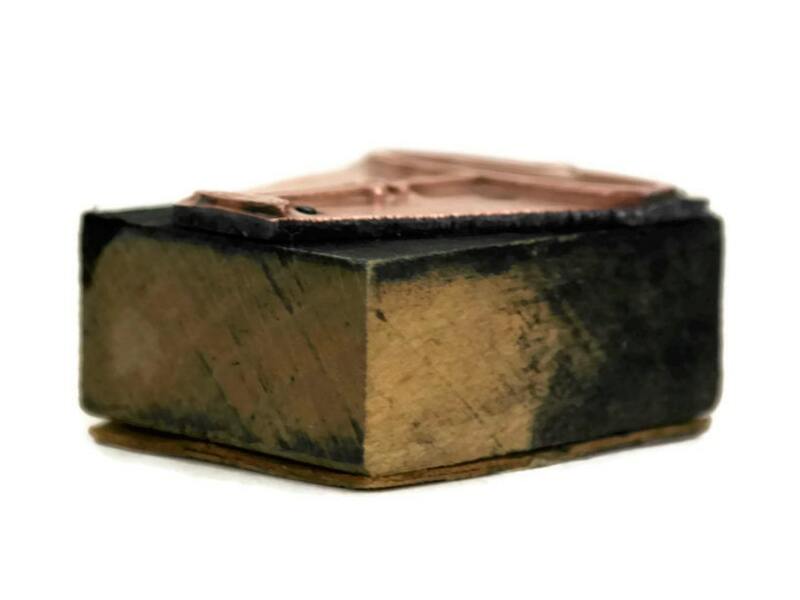 The copper printing block stamp is in good condition with age-appropriate wear.